From your driveway to your patio, concrete feature to a fountain, there’s no job too big or small, too complex or intricate for the experienced professionals at Superior Concrete of Brevard, Inc. We pride ourselves on being the most thorough and complete concrete contractors in Melbourne, FL, which means we have the expertise to tackle any project you might have for us. Moreover, our depth of experience lends itself to every project we approach, allowing us to produce results that far outstrip the competition. We take pride in the work we do and always strive for complete customer satisfaction—we want out work to stand as a testament to quality and professionalism. In addition to pouring and paving beautiful and functional concrete projects, we’re you’re go-to resource for repairing concrete in Melbourne, FL. We understand that regular use and abuse, along with weathering and time, can cause your concrete to fall out of favor. We take a targeted approach to repairs, leaving you with concrete you can be proud of. We’ve been licensed and insured in Brevard County since 1995. We’ve been in business since 1982 and have a depth of professional experience! Our business is family-owned, and we strive to exhibit quality values to our clients. Our prices are competitive and honest, and we’re pleased to provide free quotes. We’re an authorized retailer for SunSetter® Premium Quality Retractable Awnings! 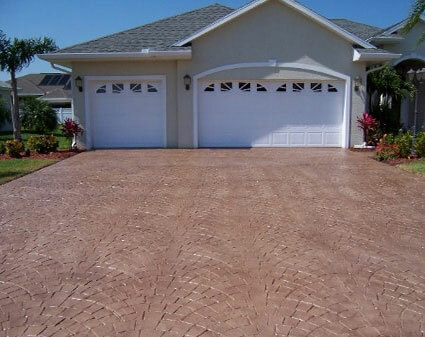 If you’re looking for a high-quality paving installation that’s functional and beautiful, get in touch with Superior Concrete of Brevard, Inc. today! We’re happy to provide you with a free estimate. "We called Superior for an estimate to replace our home driveway and add additional space for RV parking. My wife and I made serveral changes..."
"Look no further!! This is your concrete needs provider! After looking for a reputable and reliable contractor for over a year to even come l..."
"Have had a great experience with Randy and his crew. Great pricing and very easy to work with and work is done as promised and done right. H..."
"We have needed our side driveway entrance for some time. It is original to the house since 1972. We had someone who was to complete the wo..."
"Must say I have been doing a lot of renovations around house over past year and my experience with Randy and his Team was absolutly awesome,..."